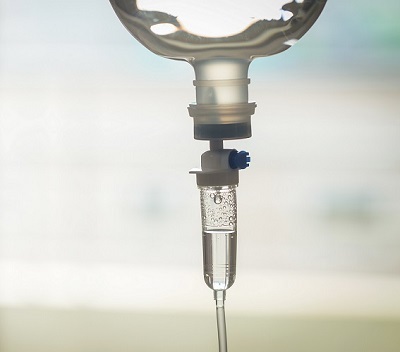 Our IV menu has drips formulated to quickly treat specific health concerns and goals. Our friendly and knowledgeable staff understands the science behind the ingredients and IV therapy formulas we use. We can answer your questions and create IV treatments customized to your specific health needs and goals. Get IV vitamin drips or injections at our Costa Mesa medical spa. L-Glutathione is made up of 3 amino acids & known as the mother of all antioxidants. Vitamin C is an essential nutrient for growth and repair of all the tissues in your body. Magnesium therapy may prevent or relieve migraines, PMS, anxiety and other conditions. ALA is a powerful antioxidant and can help your body restore or regenerate other antioxidants. NAC (N-acetyl cysteine) is used in the body to regenerate antioxidant levels & helps protect the liver. Vitamin B12 (methylcobalamin) is a fast, natural treatment for low energy, stubborn weight & much more. Thiamine is an essential nutrient & can be used to treat digestive issues & signs of aging. Vitamin B5 has been used to treat arthritis pain, skin conditions and muscle cramps. Vitamin B6 deficiency can cause anemia, depression and compromised immunity. Biotin helps your body metabolize fat, carbs and amino acids and improves hair, skin & nails. Folic acid (folate) can treat anemia and helps the body produce new cells. Vitamin B-complex consists of all 8 B-vitamins to treat deficiency and support total health. Potassium is an electrolyte and helps with nerve function, kidney function and fluid retention. Taurine helps improve glucose tolerance & heart health and has many other benefits. Zinc plays an important role in wound healing and can be used to treat common colds. Sodium bicarbonate has been shown to improve athletic performance and can improve digestion. Glycine helps balance the digestive system and regulate blood sugar levels. Inositol has been used to treat depression, anxiety and conditions related to diabetes. Carnitine helps with energy and fat-burning and promotes healthy aging. Lysine supports the immune system, is used in collagen production & has several health benefits. Proline supports heart health by helping balance blood pressure & blood vessel elasticity. Tryptophan is converted to serotonin in the body and can help with mood and sleep issues. Lipotropic injections target fat stored in the body so it can be flushed out to promote weight loss. HCL aids digestion and helps the body absorb other nutrients more effectively. Why choose IV therapy over pills and powders? Vitamins and other ingredients in IV vitamin therapy absorb quickly and completely. Nutrients you eat or drink take time to process and aren’t fully absorbed in the digestive system. IV drip vitamins absorb quickly and completely for faster results. When you eat or drink your supplements, factors like your age, overall health, metabolism, DNA and other substances you consume can affect your body's ability to effectively absorb nutrients in the stomach. When you choose IV vitamin therapy, you're getting a higher concentration of the vitamins, antioxidants and essential nutrients you need. IV vitamin therapy has many benefits: it can help you detox, relieve stress, improve immunity and so much more. We also offer add-on boosts to customize any treatment. Contact Boost Hydration with questions about ingredient dosage, uses and recommendations, or to ask about a vitamin or supplement not listed.